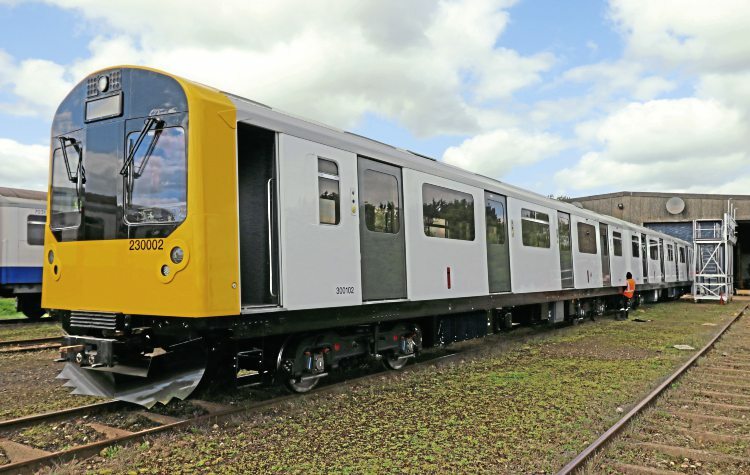 VIVARAIL has developed a new battery powered version of its Class 230 train. The new two-car train – No. 230002 – has battery modules, each containing 60 24-volt lithium-ion batteries, replacing the diesel power-packs used on the earlier diesel version. The battery train has no diesel fuel tanks, but otherwise uses the same traction equipment, motors and bogies as the diesel trains. Two battery packs are fitted per car instead of four diesel power units, giving a similar net weight, although diesel trains will also have the fuel tank and the fuel in it. Vivarail plans to launch the unit with public display and demonstration passenger service at this month’s Rail Live event, which is being held at the Quinton Rail Technology Centre, Long Marston. It will be tested on the UK national network later this year. Vivarail says the battery powered train is designed for relatively short distances, with an anticipated range of 30 miles in between charging stops, which can be undertaken in around five minutes. Next Post:New services from London to Bordeaux ‘in next couple of years’?